The Solitude pack is ideal for day hikes. Pack up the basics and get back to nature! 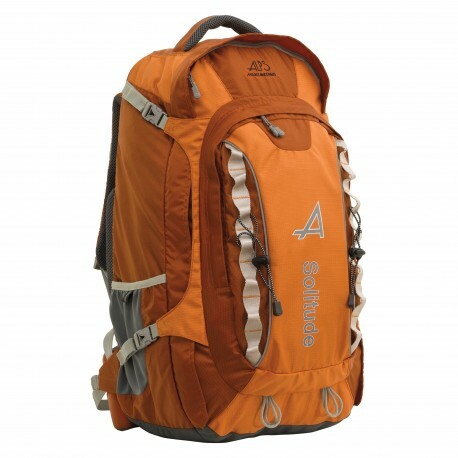 2450 cubic inches of storage makes this backpack spacious enough for single day hikers and weekend explorers looking to get away! The padded shoulder straps and waist belt keep you comfortable and the side neoprene pockets keep your water and snacks handy when it's time to refuel. 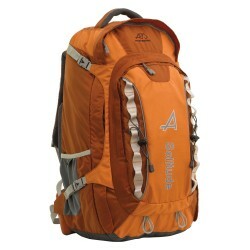 The Solitude is a great backpack that doesn't lack: the back is fully padded and is supported with an aluminum frame stay padded shoulder straps are curved for extra comfort waist belt has Velcro to let you take it on and off the pack and double side compression straps keep the contents stable.